Time for the second Pinspired challenge! I was thrilled to see that my card from the first challenge was chosen as one of the top 3; I'm so proud to be a Pinpal! This one's right up my alley! I went with the winter theme and focused on the simple shapes and the colours . 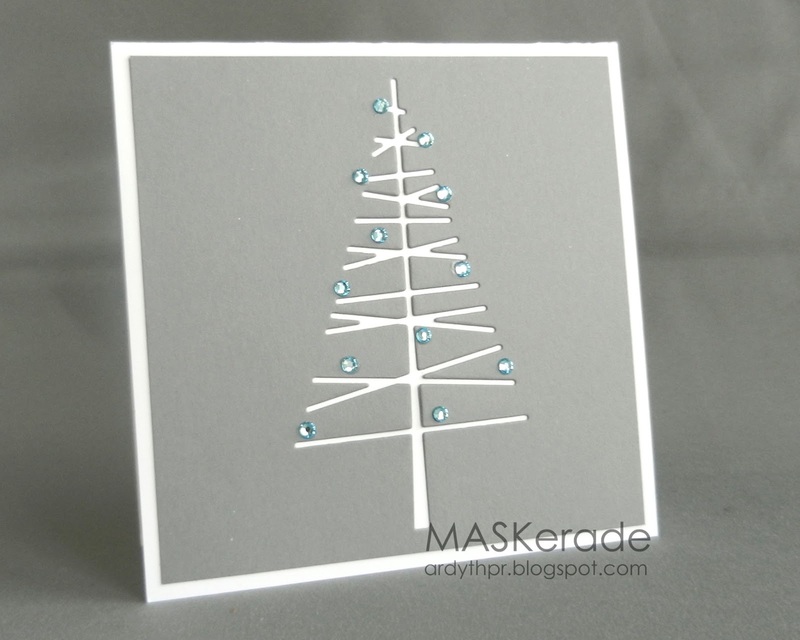 This is a Simon Says Stamp exclusive Memory Box tree die that came too late for 2012 Christmas cards, but I'm predicting it will be a favourite in 2013! PS - I'm LOVING this Avery Elle Fog cardstock - the perfect shade of grey - finally! stunning...love the gray with the touch of blue bling. Elegant simplicity! And congrats on the top 3 shout-out for challenge 1. This is so cool Ardyth, congrats on the top 3! Beautiful! I love this die! Congratulations on the top 3!!! Wow, this is CAS and just fantastic! I love everything about it. We are glad to have you back, playing along again with us at Pinspired!!! wow this is gorgeous..Thanks for joining us at Pinspired Challenges..
Congrats on the top 3! This card is "simply" beautiful. Love the bling contrasting with the plain tree. Thanks for the tip about the perfect gray... no kidding that's a science of its own. CAS and soooo very pretty!!! 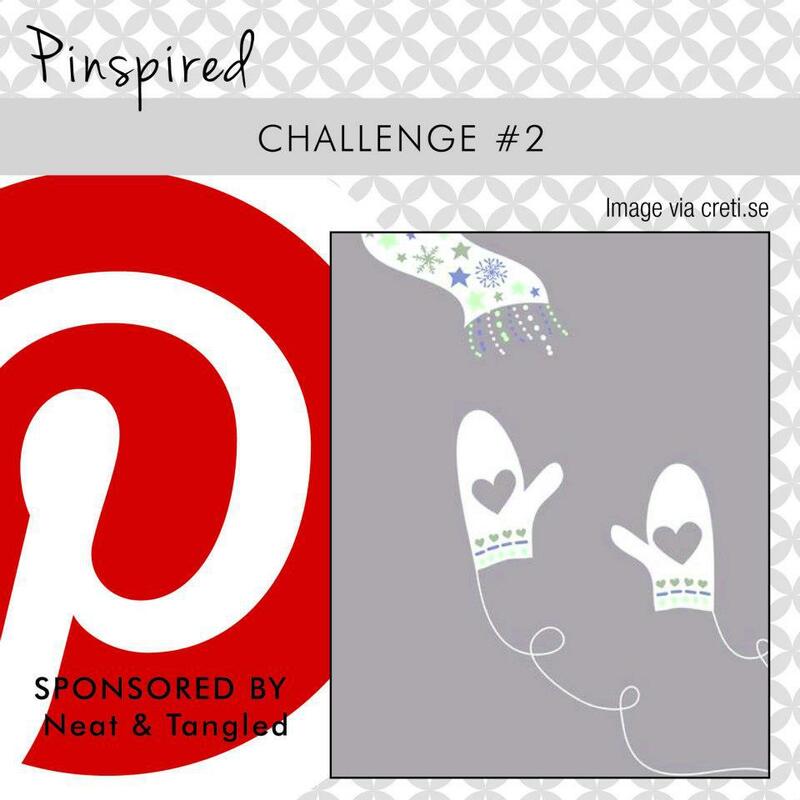 Loved how you captured the simplicity of the Pinspired Challenge photo. Congrats on top 3! Using the negative image is perfect for this die, and I agree this is the perfect shade of gray. Eeek! Must get that tree for next year! Gorgeous! I love this CAS card! Beautiful! First, congrats on the Pinspired success! Second, that die is a "must have." Third, your card. It's gorgeous. Forth, why is it so hard to find a good gray cardstock?! It's gray ... c'mon, not that difficult. This one's perfect!